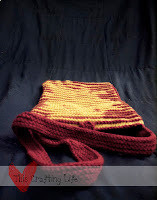 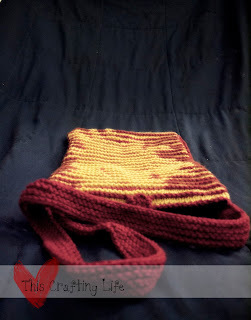 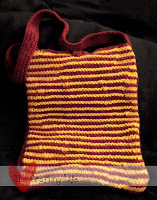 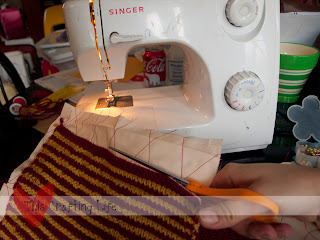 Now, if you've completed Parts 1 and 2 of the Gryffindor Bag, you're ready for the final (and most fun) part of them all! It's finally time to see how your bag looks! 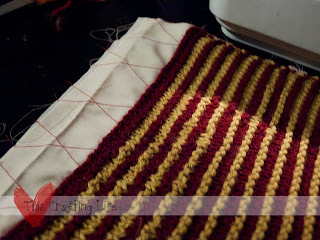 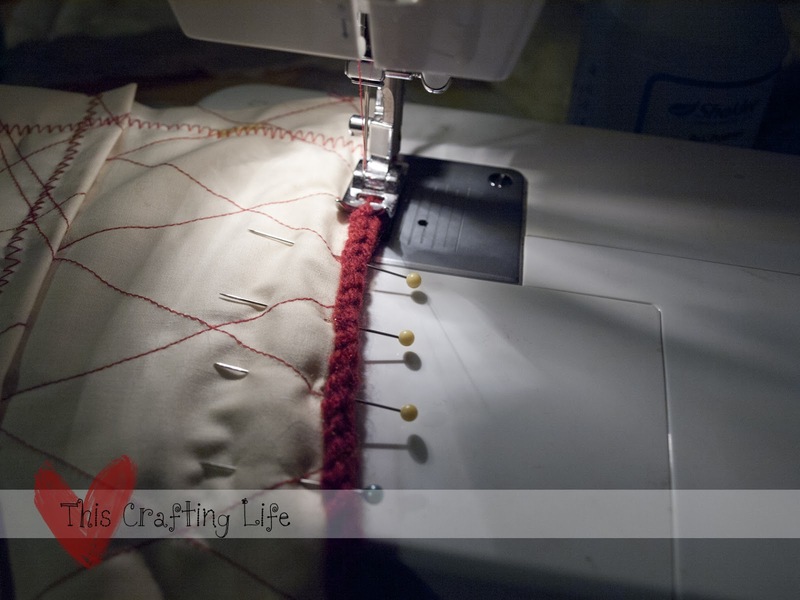 And then took it through the sewing machine with another zig zag stitch. 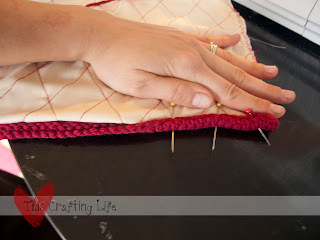 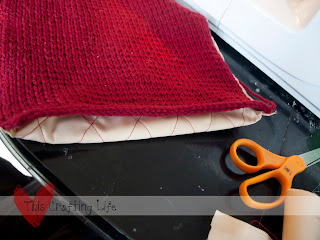 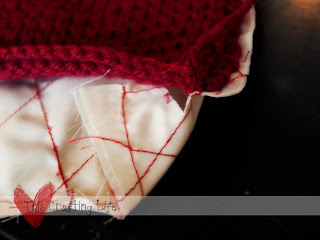 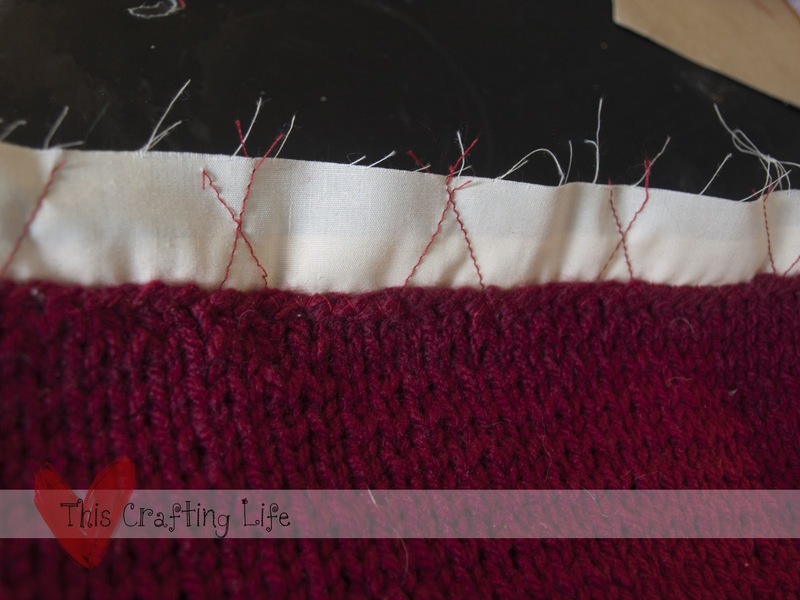 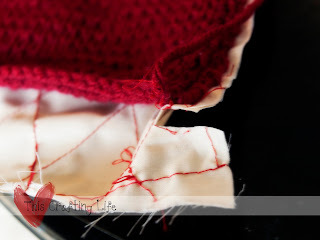 Next, lay the right sides of the knit together, pin around the edges that should be closed and sew a zig zag stitch all the way around. 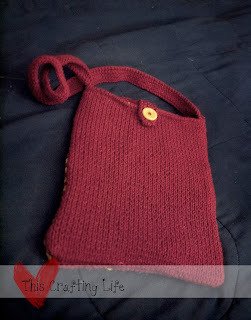 (again, sorry there's no picture of that, I guess I was in a hurry!) 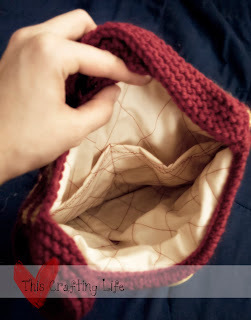 Turn your bag right side out and you're ready to finish up! 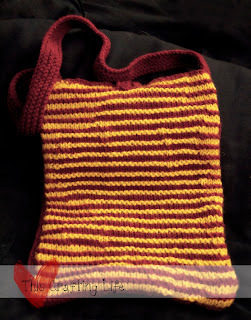 After the bag was all assembled, I attached the shoulder strap and button tab and button, just by using yarn and an embroidery needle. 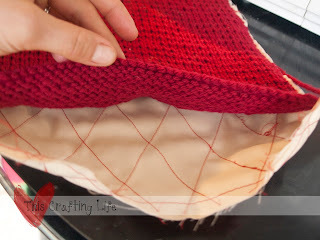 I hope this tutorial has been helpful and that it has shown you a new way to take any pattern and make it your own!